US congresswomen have walked out of work, joining women around the world who are going on strike as part of International Women's Day. 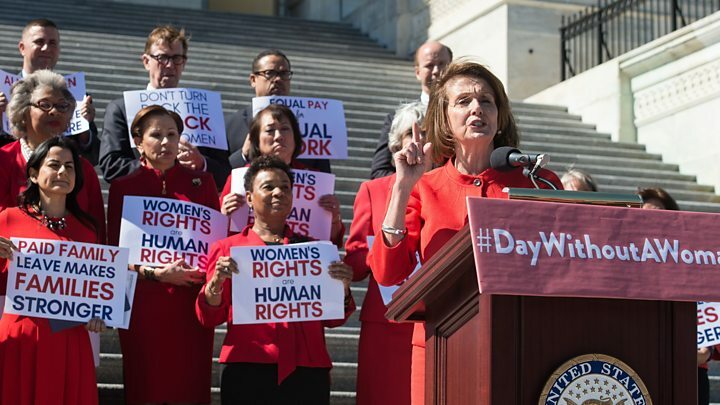 The move by House Democrats is part of a "Day Without a Woman" strike, designed to highlight how crucial women are to the US national workforce. "I think it's important women in Congress show our solidarity," said Congresswoman Lois Frankel. Schools in some districts were forced to close after staff walked out. International Women's Day has grown from a labour movement with its roots in a 1908 protest to a UN-recognised annual event. Protests of various kind took place around the world. In Ireland, women across the country went on strike and wore black to protest against the country's restrictive abortion laws. Solidarity protests were held in London, Amsterdam and elsewhere to call for Irish laws to be changed. Women in Poland staged rallies and marches to demand protection against violence, equal rights and respect. They were joined by actress Jessica Chastain, who was in the city for a screening of her latest film. In Germany, airline Lufthansa said six all-female crews would be flying in support of the day. Just 6% of pilots in the airline's parent company Lufthansa are women. Sweden's women's football team replaced the names on the back of their jersey's with tweets from Swedish women "who have struggled to gain ground in their respective field". In the US, thousands of women were expected to not work or spend money, to demonstrate their economic strength and impact on society. "We provide all this value and keep the system going and receive unequal benefits from it," said Cassady Findlay, a spokeswoman for the organisers behind the idea. US women are paid just four-fifths of their male counterparts' wages. The "Day Without a Woman" is being organised by the group behind the Women's March in January, when millions across the US gathered to protest the day after Donald Trump's inauguration. 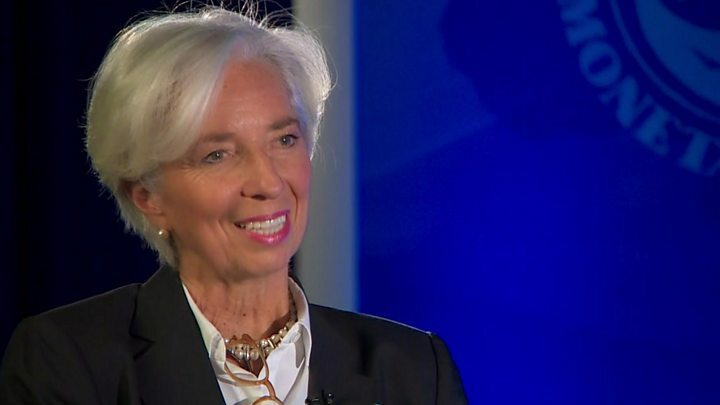 International Women's Day rallies are planned in New York, Philadelphia, Baltimore, Milwaukee, Washington and Berkeley, California, with some employers giving women time off to attend. Mr Trump tweeted on Wednesday to say he had "tremendous respect for women", but the president has been accused of sexism and forced to deny a series of claims of sexual assault. The White House said that none of its female staff members had taken part in the strike. Spokesman Sean Spicer said everyone had "shown up" and was working hard to advance President Trump's agenda. Elsewhere, Iceland's government said that it would begin to make employers prove they offer equal pay regardless of gender, ethnicity, sexuality or nationality, becoming the first country to do so. And in Finland, the country announced a a $160,000 (€150,000) International Gender Equality Prize to be given to "a dedicated defender and builder of equality". Hundreds of women in the tiny state of Montenegro protested against cuts in state aid for mothers of three or more children, and in Romania dozens of women lay on the ground and read out the names of women killed by their partners to highlight domestic violence.